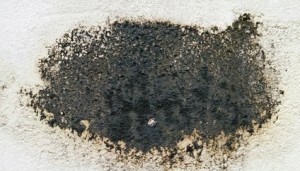 Many people believe black mold (Stachybotrys Chartarum) to be the only type of mold to cause a potential health risk. When in fact all mold should be taken seriously and removed from your home to prevent a potentially serious illness. The dangers of mold within your home are real, and it’s important to know what to look for. Mold is one of the leading causes of Toxic Home Syndrome. When purchasing a home, especially a foreclosed, damaged, or moisture impacted one (via a flood, plumbing leak or roofing issue), it is extremely important to have an environmental assessment completed prior to purchase….with specific attention being placed on potential mold issues. You never know what may be lurking behind the walls, so air quality testing for mold and other potentially harmful airborne contaminants will always offer an excellent return on your investment. It could also save you from purchasing a home that could potentially harm your health, or cost thousands to remediate. Between 20 and 30 percent of people do not have the ability to process toxins found in some molds, which can result in serious illness. If you have asthma or pre-existing allergies, indoor air pollution risks can be even greater. Here are a few important facts about mold to help keep you and your family safe. According to the Center for Disease Control and Prevention, molds themselves are not toxic or poisonous, but some molds are toxigenic. Meaning that they can produce toxins called mycotoxins. All hazards should be considered with all types of mold to be safe. Black mold is a greenish-black gelatin looking mold. The term “black mold” most commonly refers to the Stachybotrys Chartarum family of fungal growth. It can grow on any material that has low nitrogen, high cellulose content, and thrives in moist conditions. Because it can be a wet and sticky, it does not always release spores in the air, and when it does often only a negligible level of spores are detected. Therefore, even in very low numbers, it is often an indication of a moisture issues with a potentially much larger mold contamination hidden (likely behind walls). Can Black Mold Cause Illness? According to the CDC, there is a possible link to acute idiopathic pulmonary hemorrhage and SIDS among infants with black mold exposure, but it has yet to be proven conclusively. Some black mold exposure symptoms within your home can include hemorrhage, respiratory problems, mental impairment, tiredness/fatigue, nausea, and damage to internal organs. How do you Identify a Mold Allergy? The symptoms of mold allergies are quite similar to those of regular allergies. Itchy, watery eyes, sneezing, congestion, hives and a runny nose are all symptoms which could indicate you suffer from mold allergies. Mold spores do, however, pose a bigger risk as they can sit on the lining of the nose eventually reaching the lungs causing asthma and other severe respiratory illnesses. Ultimately, although the allergenic properties of mold are always a concern, the larger and more significant concern is with the mycotoxins that can be released into the air. How Do I Remove Black Mold? You should never attempt to remove mold on your own. Disturbing mold can cause dangerous spores and toxins to be released in the air. If you have performed indoor air quality testing and have determined that you do in fact have a mold problem within your home, it is best to hire a professional mold removal service with experience in dealing with black mold. 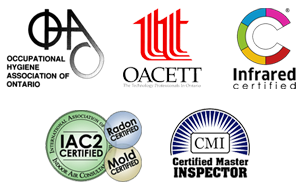 If you are looking to hire a mold removal specialist, it is always important to get multiple quotes and always check credentials. The dangers of mold are real, pay close attention to your home and your health in order to catch contamination signs early and resolve issues quickly.